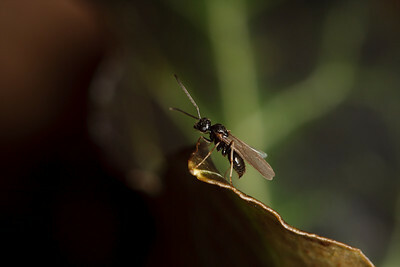 A male false honey ant (Prenolepis imparis) leaves the nest for the first and last time, in search of a queen to mate with. 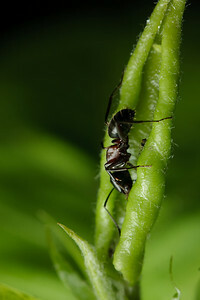 A carpenter ant working on some aphids. 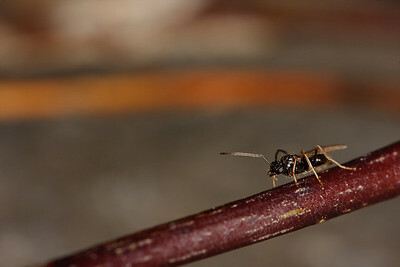 This is a Camponotus, but see the burgundy-red thorax? 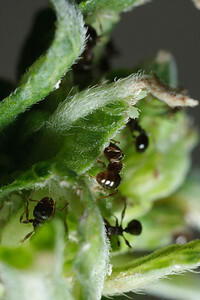 It's not C. pennsylvanicus, the species that farms aphids on this plant. 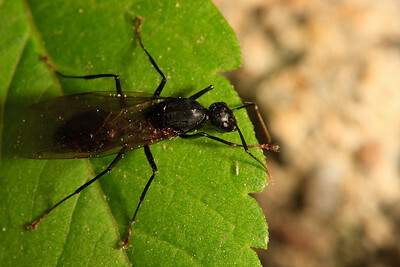 Maybe C. novaeboracensis? 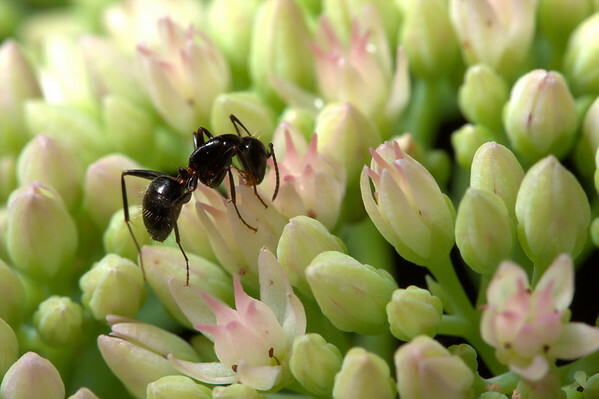 I don't know if this was an individual from a nearby colony exploring, or if the earlier tenants have been displaced. 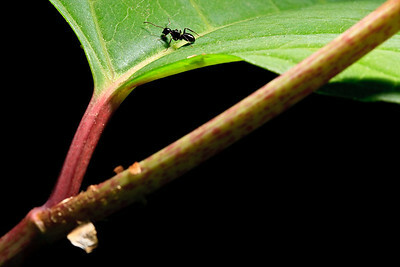 A number of pavement ants (Tetramorium caespitum) at work on a small leaf. 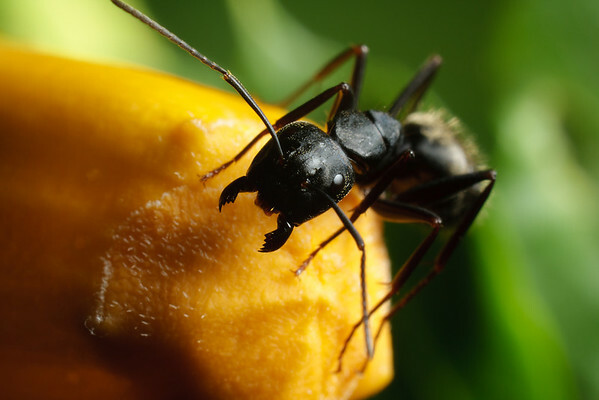 A close-up photo of a carpenter ant (Camponotus). 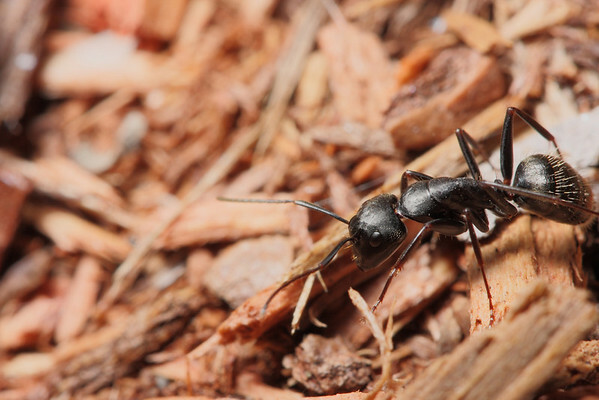 A carpenter ant worker crosses a pile of wood chips. 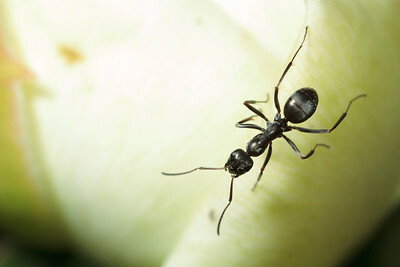 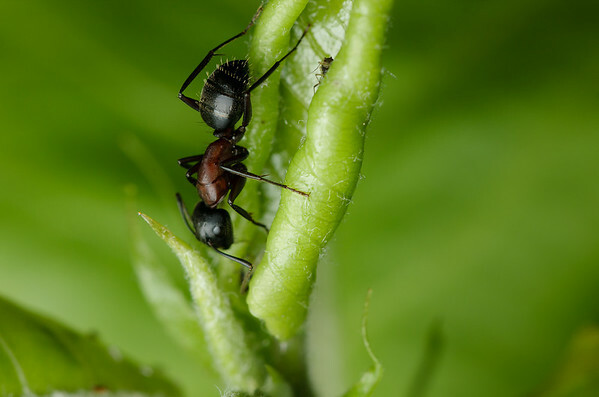 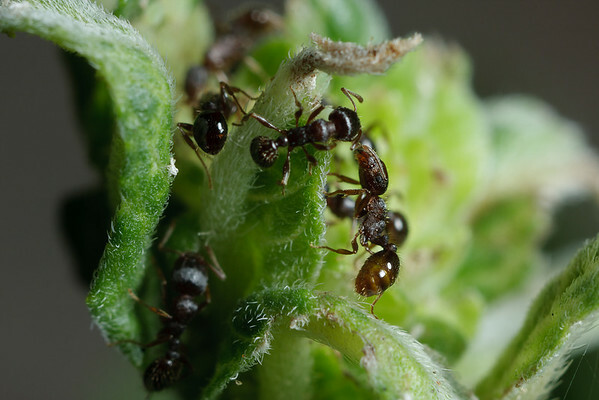 A carpenter ant examines early flower buds. 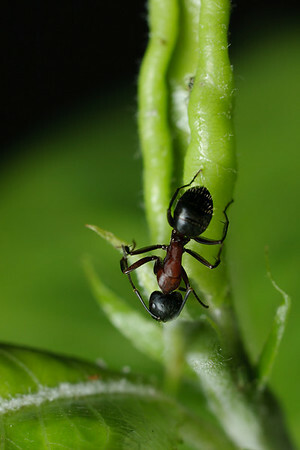 A carpenter ant (Camponotus) on a leaf.